Town & Country Realty is proud to announce a landmark 30th anniversary of employment, achieved by Carolyn Bates, Licensed Administrative Specialist. 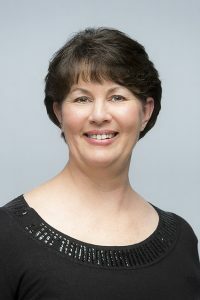 Carolyn joined the Town & Country Realty front desk team on February 7th, 1989 and has served both the Corvallis and Albany communities with diligence and grace in that time. Carolyn’s dedication and care for her work is apparent in each interaction in which she is involved. Clients and Brokers alike appreciate her thoughtfulness, care, and concern for their well being. Her respectful and relationship-centric values are apparent to anyone who calls or stops by Town & Country Realty. In her 30 years in real estate, Carolyn has learned an incredible amount on the process of real estate transactions. After 29 years in the business, Carolyn aced her Broker license exam in 2018. With her license, Carolyn provides even more expert support to our Brokers and their clients. Congratulations and thank you for your service, Carolyn!